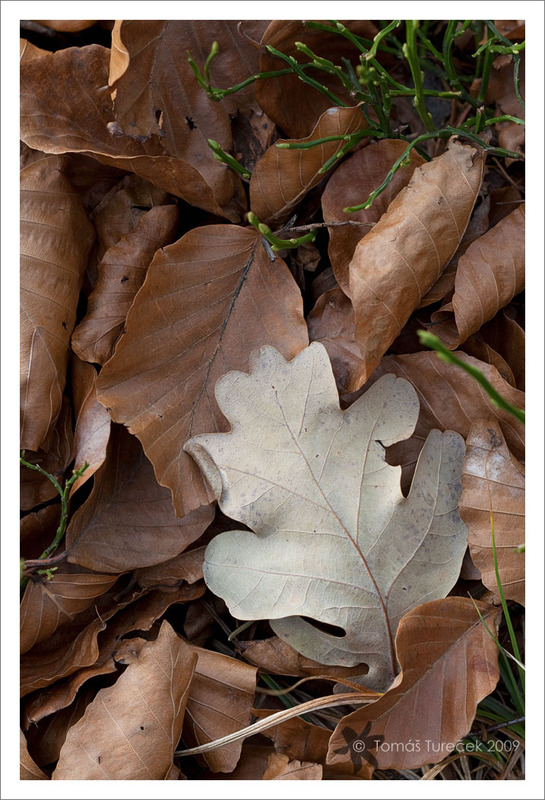 In the main role: Oak leaves! By now you should already know that I am attracted by tree leaves of all colours and shapes and I often take photos of them. 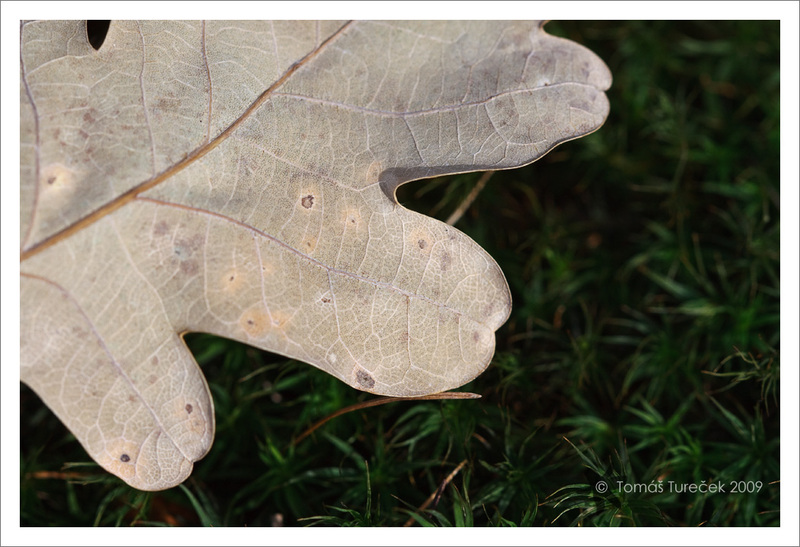 One of my most favourite leaves are oak leaves. They have wonderful curved rounded shape and its back side is often brighter than back sides of other leaves. I spent previous weekend with my family on our cottage in near hills covered by woods and when I was looking for something interesting I found oak leaves in following interesting placements. 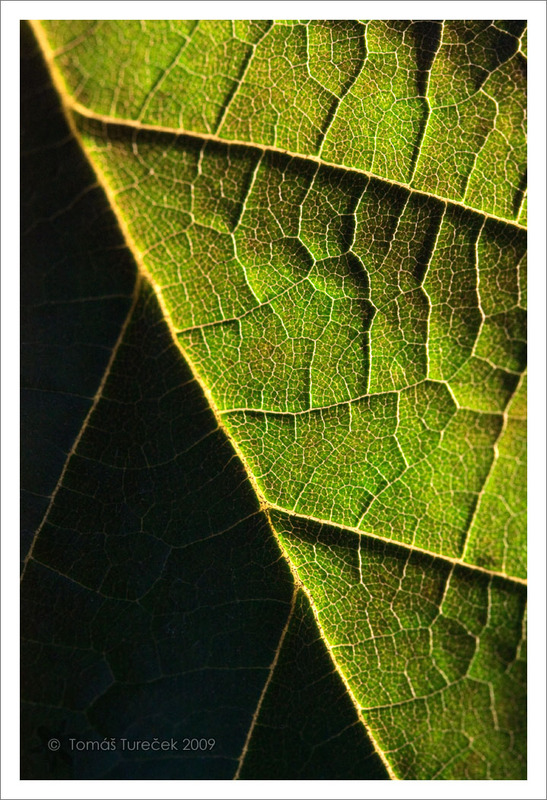 The first one was lit by nice autumn sun light and I was attracted by its texture as well as its shape. Then I noticed another oak leaf with very nice dark green moss only few steps from the leaf and I thought those two might make nice contrast together. 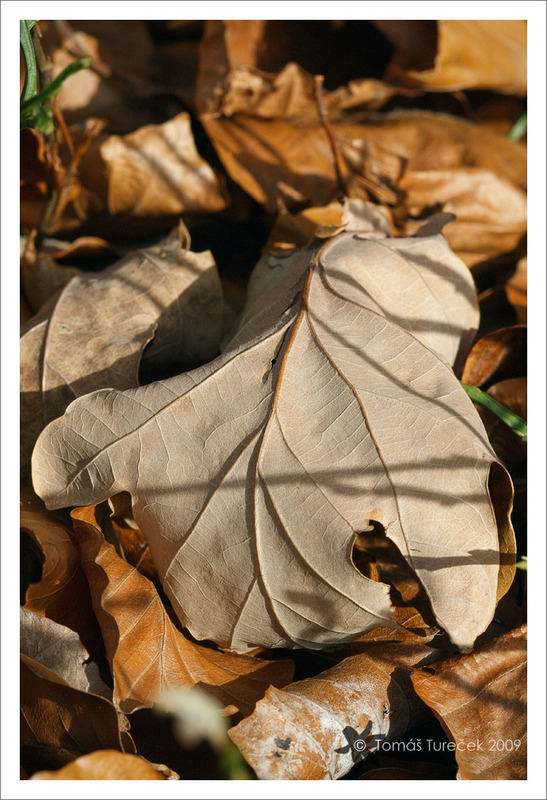 Here is the leaf as I found it surrounded by beech leaves and leafless blueberry bushes. 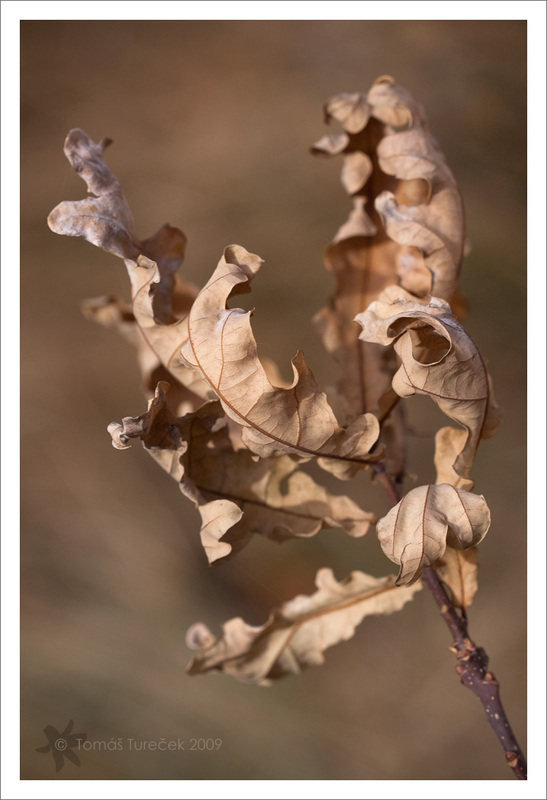 Subject for last photo was a thin stem of young oak tree with few yet gripping dried leaves on its end. The background here is dried grass. I tried to capture the melancholic autumn atmosphere here. Technical information: all photos were taken with Canon EOS 450D camera and Canon EF 100mm f/2,8 USM macro lens under natural conditions and hand held. Let me know what you think and if you have any suggestions for improvements, don’t hesitate to share them. Enjoy the first frost where you have it! How to improve in photography? some forums are based on unwritten rule “give me nice comment and I’ll give nice comment to you”. Most of you answered that mainly because of the first reason you don’t post your photos on photo forums no more or only seldom. This leads me to question: what do you do to improve your photography? Practicing? OK, but how do you know that you do it right? Taking photo courses? All right, but that’s mainly one time event so it doesn’t tell you that you improve continually, right? Technical information: the photo was taken with Canon EOS 450D and Canon EF 100mm f/2.8 USM macro lens under natural conditions, hand held. I took this shot in our garden last July when I was walking with a camera in my hand, looking for something interesting. I noticed this leaf and it attracted me by the way how it was lit by sun and how the veins in the leaf were dropping shadows. Enjoy every warm day as winter will arrive soon! Barbara Kile's "The Father's World Discoveries"
Bernie Kasper's "BFK Photography – Visions of Madison Indiana"
Denise Ippolito´s blog "A Creative adventure"
Ed Vatza's "Making the Ordinary Extraordinary!" Ed Vatza's "It's My Nature"
John O'Connor's "Meditations on a Moment"
Mark Graf's "Notes From The Woods"
Michael Brown's "Macro Art In Nature"